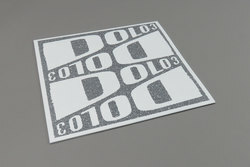 Dolo Percussion - Dolo 3. Vinyl EP. Bleep. Max D drops the first new Dolo Percussion on four years for TTT, four killer percussive swingers that slot nicely between the humid poison fever techno of Cut Hands and Randomer's L.I.E.S. 12"s. Sick!